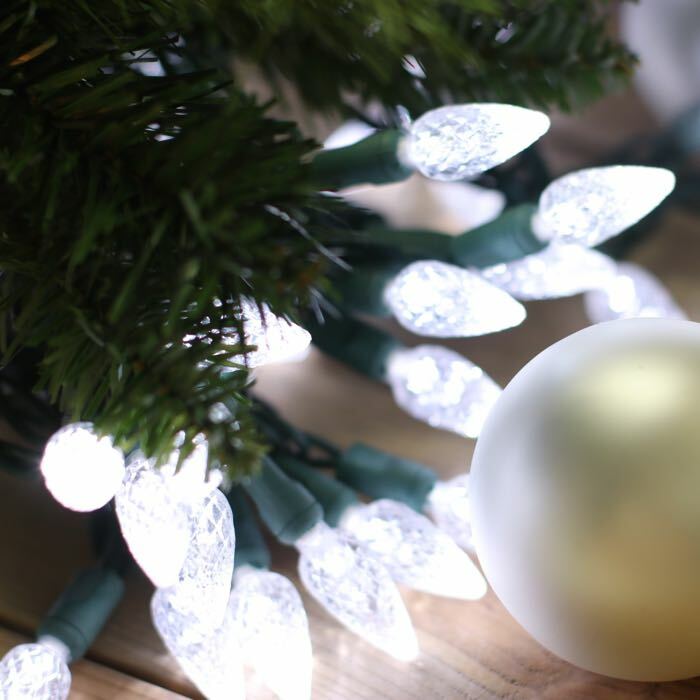 Check out the beautiful brightness of these pure white C6 LED Christmas light strings! With the latest in lighting technology, these Christmas lights are easy to install and provide a virtually no-heat operation. These faceted LED lenses are an ideal choice for your Christmas tree, used as a single color or combined with other colors to get just the look you desire. 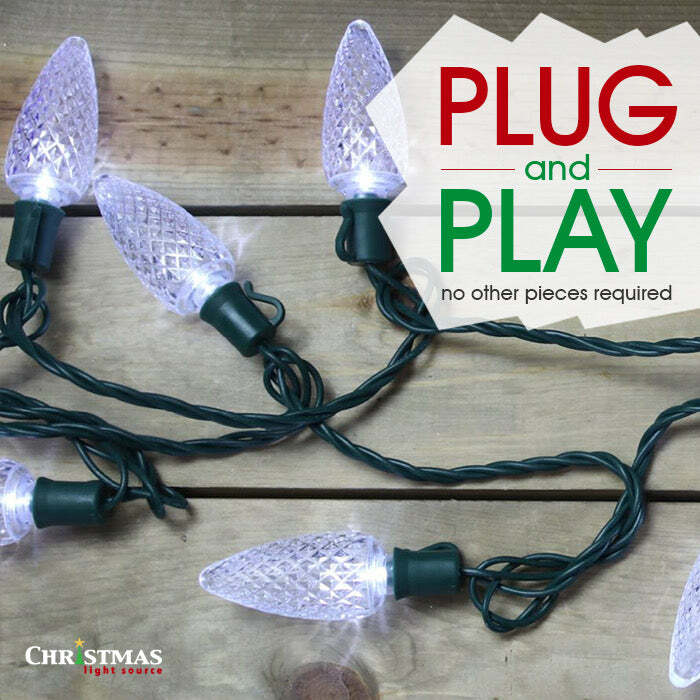 With 43 sets able to run in a series and 4 inches of spacing between lights, you will achieve maximum effect for your efforts when stringing lights on your holiday decorations. What is the difference between incandescent and LED, really? Can I mix LED and Incandescent light strings? A: These are about 1/2 an inch long and are spaced 4 inches apart. If you want the "larger bulbs" you might look at C7 and C9. These are half as many bulbs but spaced 8 inches apart. The main advantage is that the pre-wired strings (the first two links) can be run much further end to end and plug into a single plug but the separately sold bulbs and cords can be fun a maximum of 250 feet. Q: Are these full wave or half wave rectified? A: These sets are full wave rectified instead of just clipped. Each string has an in-line rectifier that is about the size of a AA battery.